some diy, some buy! enjoy! xo. I like all of them but what struck me most was the "corn huskers lotion" on the wooden side table. I use to use it years ago. Had completely forgetten about that. Fun, must pick up another bottle. the ladder nightstand is definitely my favorite. what a fantastic idea! Love the cabinet from the first image, too cute!!! The floating nightstand and bedside cabinet are fabulous! I'm moving soon and getting rid of my old nightstand... maybe I'll try something new! awesome picks! my favorite is the ladder ~~ very cool! Thanks for all of the good ideas for bedside tables. 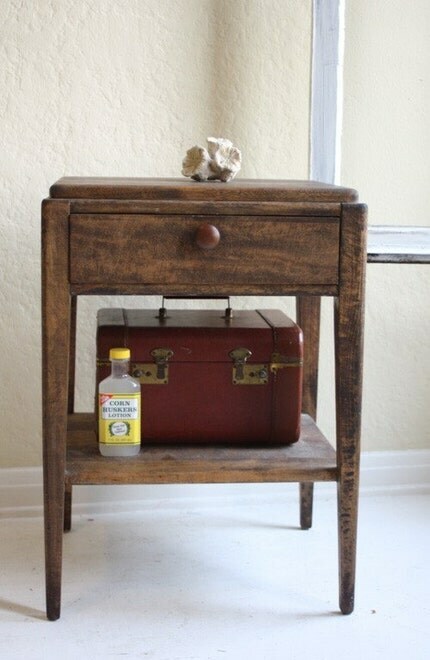 I saw something once that was a writing desk and I have been looking for it (where to get it). It had a slide out smaller desk under it. I really like the Ikea bedside chair. I love the mounted wall cabinet that looks like an adapted bird house. It’s so unusual and a great idea for small rooms where floor space is an issue. Hi Danni! I don't even remember how I found your blog but I do like yours a lot! What stood out to me was that verse from Hosea that you have posted. so good! love it! Also, I love your style! my creative juices are flowin! That ladder is such a cool idea! I adore the last image with the ladder side table. I would LOVE to have that in my home! I love the first one and the one with the sweet clouds the most! Oh and that pale blue one is gorgeous too! the book one is amazing!! we obviously love anything book oriented here a bibliochic! thanks for sharing! beautiful! especially loved the bedside chair! i love the idea of bedside chair, ive seen a lot online and im itching to make my own project:) love the bedside ladder too! I like that they are different. It makes me realise you don't need the usual bedside tables. I love that little house and the turquoise one. That first pic is tops! TOPS I tells ya! 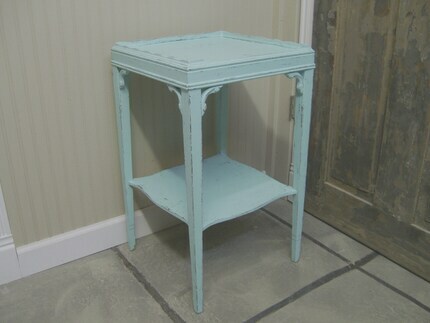 I adore the vintage aqua table. It would look just lovely in my room! Such wonderful collections! I really adore that Bedside Cabinet from designmyworld.net! Thanks so much for sharing! Have a lovely merry happy day and love to you! what a beautiful collection this is!! i love the first one with the yellow pillow, the floating nightstand and the one w/ the gorgeous wallpaper in the back! 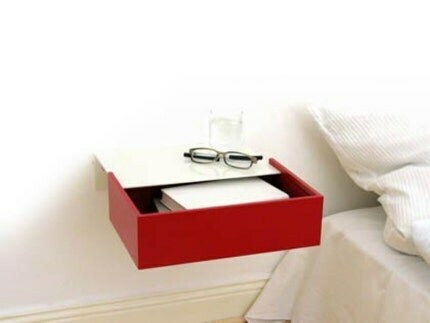 The red and white night floating nightstand is great..can save space but keep the modern look. These are all so fantastic! I also fell in love with that house side table. So adorable! This is such a fabulous and inspirational blog. I can't believe I haven't found you before now! Some of these are so brilliant! I alove the birdhouse, the floating one and of course that ladder! so creative ~ love it! gorgeous ideas! i love the floating drawer, tho it isn't really my style it sure is neat! 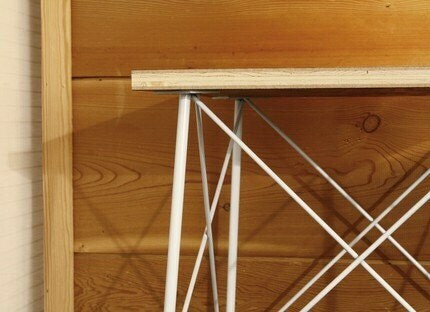 but the ladder table and the chair table are definitely contenders! LOVE the very first one, like a lot of the others. The first one, though, is dreamy. Thanks! Your blog is so much fun~~ Just found it. I just want to say that your blog is so fresh and cute and girly. And I read your "about" page and I love that quote from Hosea by shane&shane. I love anything from the beautiful word of our Father. ps, you're so fun to read about! not that i'm creepy, but i feel like we're friends after reading all of your facts about you and so on. i went to bible school for a year and a half in michigan. i didn't get to graduate yet, but one day i will. anyway, you're so lovely. aww I love them all! The vintage suitcases is my favorite, with a close second being the house-shaped one made out of a book! Cute idea. I always love when blogs feature people's bedside tables or desks...it's really a detailed peek into someone's life! P S T R A N G E T O W N ! the house/book...house? one is fabulous!!!! 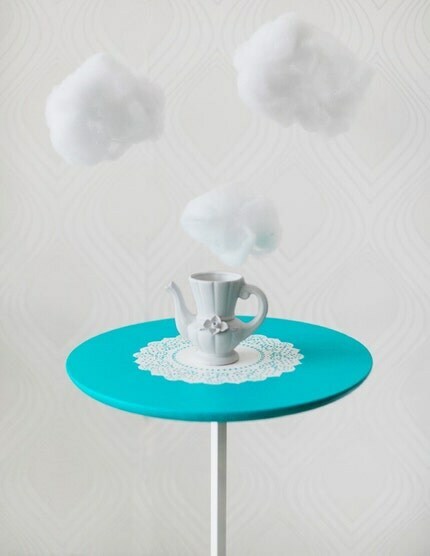 I love the little birdhouse side "table" -- truly creative and cute too! great use of grey in the anthropologie apartment. and despite the fantastic ikea hack there i think i'm gonna have to finally build a floating nightstand now that i've seen this one... great post. Oh wow, that ikea bedside chair is so simple yet perfect! I want them all!